In the age of the internet, a tourism boon can quickly become a tourism bane. Colorado’s Frozen Dead Guy Days, Tennessee’s synchronous fireflies, and California’s Super Bloom deliver varying degrees of revenue and frustration for small towns. Up the winding road to the mountains, the dead-loving hordes came each year. From frozen fictional queens to grandpas painted blue to young couples with their babies wrapped in warm blankets, they drive up the Boulder Canyon Drive, parking where they can and ambling through the town. Shoulder to shoulder, they press into stores and restaurants and bars, increasing wait times from almost nothing to an hour or more. 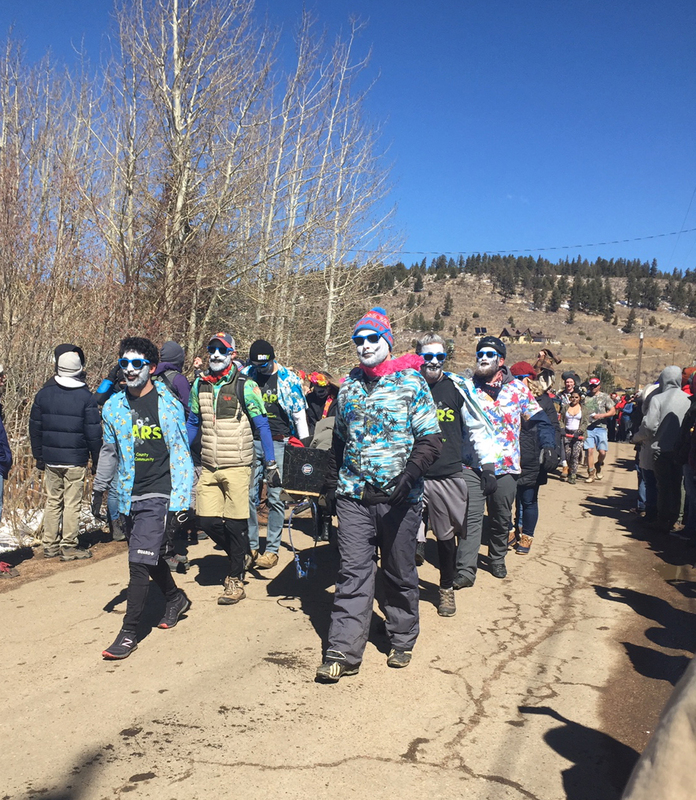 Each year, tourists descend on Nederland, Colorado, for Frozen Dead Guy Days. Some of them dress as walking, yet frozen, versions of the recently departed, and all of them are there to celebrate the life of a grandfather they’ve never met, frozen on dry ice in one of the resident’s freezers. And they help the town swell from a population of 1,500 to nearly 25,000 over the course of three days. Traffic comes to a standstill. Some town residents leave for the weekend. Shopping, eating out and even grabbing a cup of tea at the local coffeehouse becomes an endeavor instead of a pleasure. The town, for three days a year, is overrun and almost overwhelmed. It’s something many small communities are dealing with as the internet alerts everyone to events and activities that they may not have heard about otherwise. Sometimes, while events and festivals like Frozen Dead Guy Days are boons to the places where they happen, the impact they have on small communities can be a hardship. In early March, the first videos and pictures about the California Super Bloom reached the web. 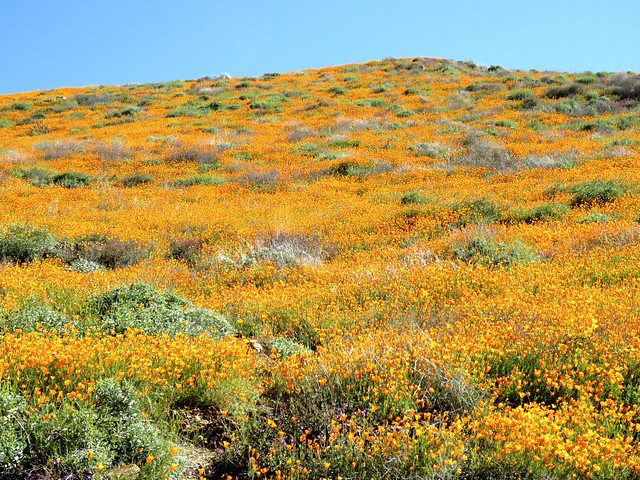 While every year the hillsides in southern California turn into a blaze of yellow and orange as poppies bloom in the arid landscape, this year was different. 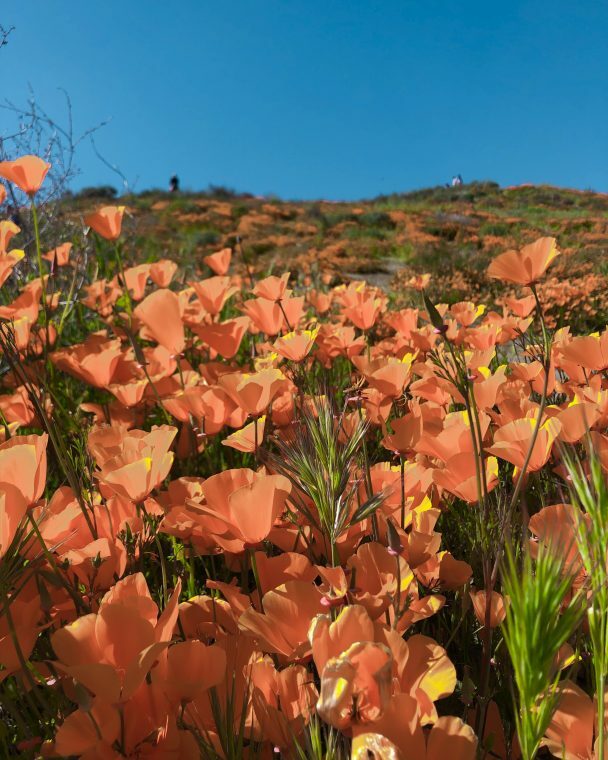 This year, as a result of the heavy rains, poppies exploded into a super bloom — a canyon hillside awash in color, the perfect backdrop for that social media photo op. It wasn’t long before tourists descended. Over the St. Patrick’s Day weekend, more than 6,000 tourists used shuttles set up by the city to take visitors to the poppies. But waits were long, seats were limited and traffic was a nightmare. So some of the visitors parked along roadsides and walked to the poppies. Traffic backups got worse, so people parked alongside highways, climbed over guardrails and hiked as much as three miles to get a glimpse of flower power. Nicole Dailey, assistant to the city manager, said Lake Elsinore was taken by surprise when the Super Bloomers showed up. People trampled flower beds. Others slid or fell down hillsides attempting to get that Instagram-worthy shot. A dog was bit by a rattlesnake. At least one visitor was injured. With between 15,000 and 20,000 visitors coming into the 60,000-person town each weekend, something had to be done. The city shut down roads and set up shuttles. They called in more law enforcement. For a town the size of Lake Elsinore, it wasn’t an easy task. In some places, the influx of visitors helped business. Starbucks said they were overwhelmed, Dailey said, and the Popeye’s near the shuttle stop ran out of chicken. Business for water, drinks and food was booming. But for other stores, those in a nearby outlet mall where shuttle services were staged, there wasn’t an increase in business. In fact, traffic was so congested even regular customers stopped showing up to shop. City officials decided that the best way to deal with the situation was to shut down exit ramps to the canyon, provide increased shuttle service and direct local traffic away from the Super Bloom. To the East, Nederland had just finished its own superbloom – a growth of tourism that comes every year. 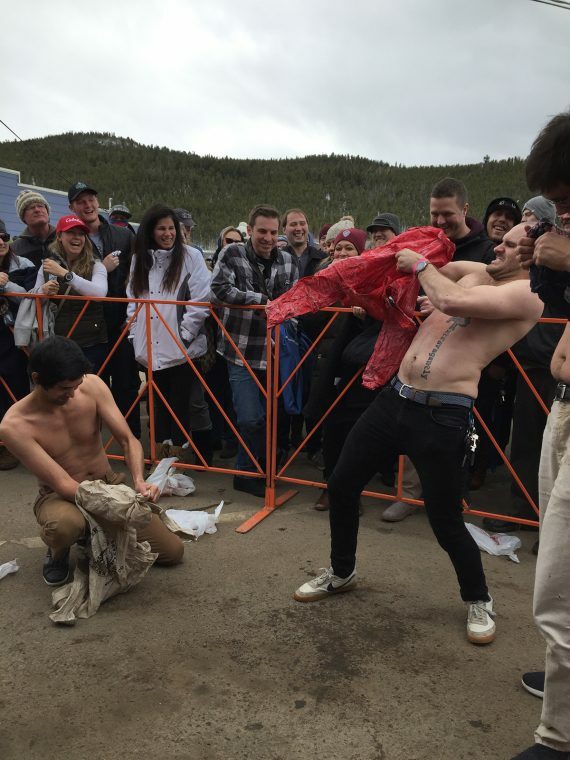 Frozen Dead Guy Days is a three-day festival that brings music, food, beer and fun to the 1,500-person community of Nederland. Started 18 years ago, the festival centers around the local story of a family who decided to put their deceased grandfather on dry ice in an effort to cryogenically freeze him. His remains are still stored in the community, in a deep freeze freezer in a Tuff Shed on the edge of town. Instead of brushing the story under the rug, the community started a festival around “Grandpa Bredo’s” unusual resting place. 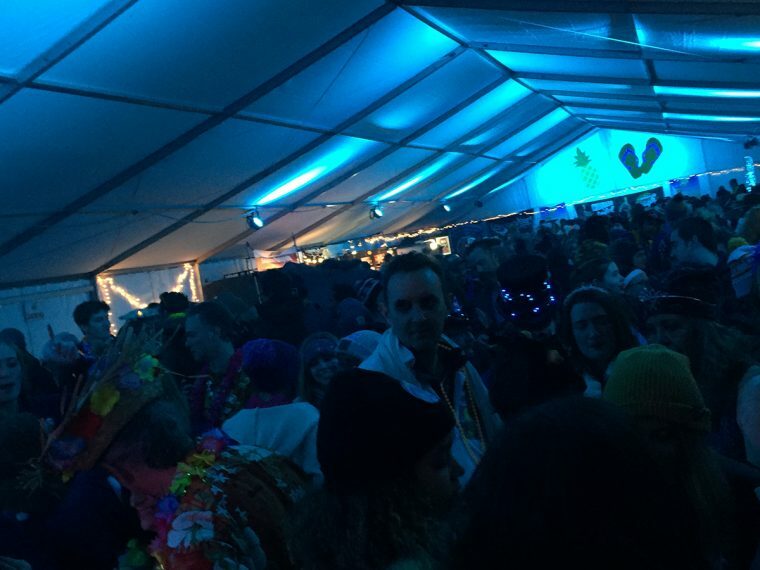 With music, dancing, adult beverages and games like “Frozen Turkey Bowling” and “Frozen T-Shirt Contest” and “Coffin Races,” the weekend became a hit in the communities around Boulder and Denver. Now the festival, after having received international attention, grows by about 1,000 people each year, said organizer Amanda MacDonald. MacDonald said she’d like to sell the festival, or to find a way to not have to take on all the financial burden herself. MacDonald said while she has had some interest in the festival, there have also been some complaints pushback from community members. Nederland Mayor Kristopher Larsen said the city does love the event but can’t take on the responsibility of organizing something that big. But the festival isn’t without its downside. For safety, the three or four police officers employed by the town are all on duty, but Colorado Rangers, a volunteer police force, are also called in. Costs are born by the organizer, but there is still staff time spent on making sure things are in place to handle the crowds. Of the city’s nearly $500,000 in sales tax revenue, a few percent comes directly from sales made during Frozen Dead Guy Days, he said, although he declined to give a specific figure. And the ancillary benefit is the advertising of the community the event does to the rest of the world. In fact, the town is preparing for a visit from the Consulate General of the Netherlands, who read about the festival and wants to know why there is a town with the name of his country in the middle of Colorado. In another mountain range, the Great Smoky Mountains, later this spring, visitors will flock to the Elkmont, in the Tennessee section of the park, area for three weeks between the end of May and the beginning of June. Amidst the grandeur of mist-shrouded mountains thousands of visitors come to see … fireflies. 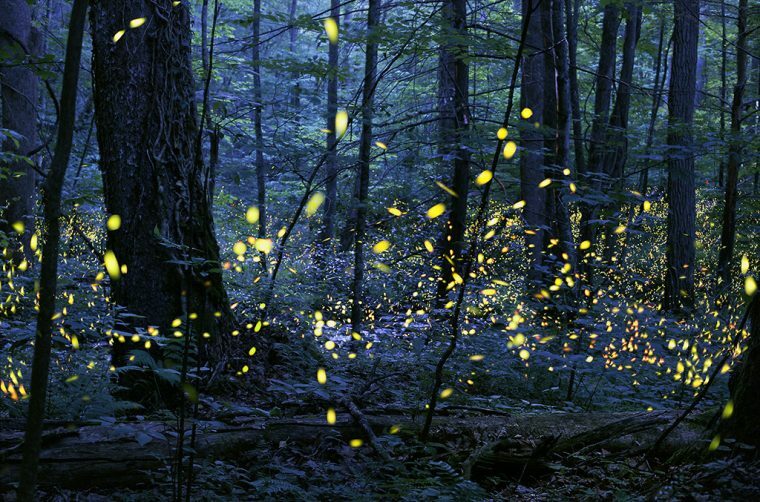 The Smokies are home to a species of fireflies that all light up simultaneously called synchronous fireflies. Made popular when the National Park Service identified them as a phenomenon, thousands of tourists come to the mountains to see the sight, said Dana Soehn, public information specialist with the park service. Visitors would trample on the fireflies’ habitat on top of doing the damage that large crowds of people do wherever they go. It was necessary, Soehn said, to limit access to the area and limit where visitors could go. So, the park service opted to close off the roads and allocate a number of nearby parking spots for visitors to come and view the show. At first, the park service opened parking areas for the event once a year. In response, the park service instituted a lottery system, where visitors try for a chance to wait around in the dark and see nature flicker on and off. Visitors interested in going to the “show” enter an online lottery for a chance to win a parking pass. From the parking lot at the Sugarland Visitors Center near Gatlinburg, they take a shuttle to Elkmont to see the fireflies. Lottery winners may put as many as seven guests in their car. Soehn said last year firefly enthusiasts came from 43 states, Puerto Rico and Guam. Back in Lake Elsinore at the California Super Bloom, city planners continue to meet to determine how to best deal with the event’s popularity.. With limited resources and the need to balance conflicting pressures, the city assesses the situation weekly, sometimes twice a week if needed, Dailey said. As the city deals with its new restrictions to help traffic flow for residents, now they must also deal with visitor expectations. With temperatures climbing into the 80s this coming weekend, the city is stressing to visitors that it is still a walk to get to the poppies, and that there are no restaurants or food vendors or bathrooms along the route. Efforts were being made to provide shade for those who may have to wait between one and two hours for the shuttles, Dailey said, but visitors have to be prepared for the waits. About 90 percent of the visitors are happy with the situation, she said. But there are a few who complain. Similarly, residents are generally happy with the city’s arrangements while a few still complain the city needs to just shut the whole thing down. It’s a never-ending balancing act between the needs of a small town and the needs of those whose visits help a town’s businesses stay afloat.